Georgina Schoeb is a chartered accountant and managing partner of Peninsula Accounting Ltd. Having graduated from Nottingham University with a BSc in Mathematics and Psychology she trained at Ernst & Young’s London office, qualifying in 2001.Georgina went on to work as a systems accountant and management accountant at The Refugee Council before joining United Business Media plc’s internal audit department. 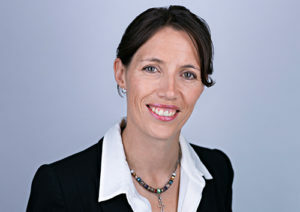 As senior audit manager Georgina reviewed financial and operational systems at UBM’s various offices, both in the UK and abroad, recommending appropriate financial systems and controls.In 2008 Georgina left UBM and set up Peninsula Accounting Ltd, working primarily with small owner-managed businesses and self-employed individuals. The company has client portfolio of around fifty clients and specialises in the medical sector, with almost half of clients operating in this field.Georgina is a fellow of the Institute of Chartered Accountants in England and Wales FCA (ICAEW) and a member of their Healthcare faculty. Outside of her professional work Georgina has always had a strong interest in emotional and physical health, volunteering as a specialist counsellor since 2005.